Discount Price! More Surprise! Just Want You To Enjoy Here! Please focus on Limited Sale this time. The Event has more wonderful upgrade. Now you could click these four packs more times and there are more valuable resources and more discount. Let’s take the best shortcut to get tons of resources quickly and easily! See you tomorrow! 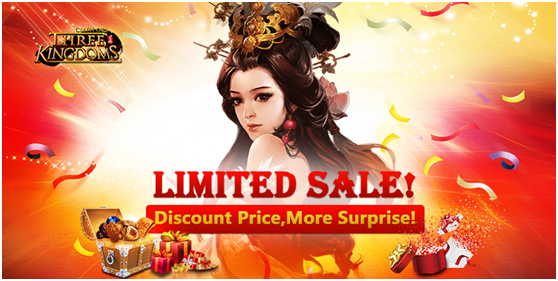 After entering the game, you will see “Limited Sale” in “Events” during event time. The following packs are available in this event. They are all sold at very low prices. Save Gold for these packs! 1. Players should reach Lv. 70 to join this event. 2. Everyone can only buy limited numbers of the packs. 3. The products will automatically add to your account once bought. 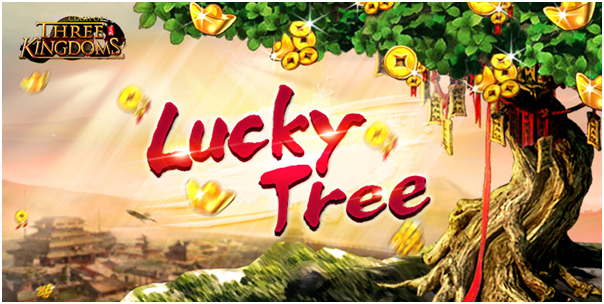 We have prepared Brand-New Lucky tree event for you. 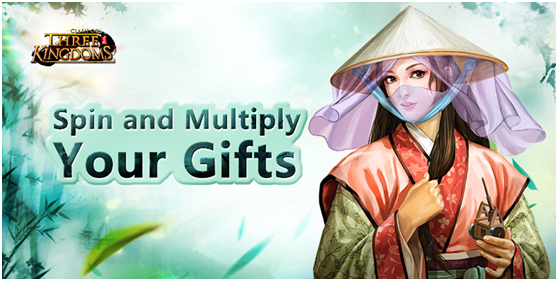 You can win abundant of chief EXP by free chance or gold to water the tree, as the same time, you also have a chance to get multiple rewards. This time, we added random food rewards for you. Each time you water the tree, you will get a random food reward! Besides, fruits rewards are richer than before, A.Token, Voucher, Starlight are waiting for you! To water the tree, you will upgrade quickly! 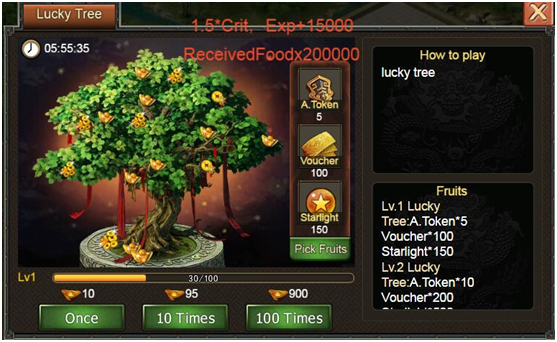 Players above Lv.81 can water lucky tree by free chance or gold to win chief EXP and help the tree grow well. There are random chances to get Crit*1.2, *1.5 and *2 rewards and random Food rewards! When the bar is full, lucky tree will upgrade automatically and bear fruits. Higher the level of the tree, richer the fruits it bears. At 8 p.m. every day, lucky tree will bear fruits again based on the level of the tree. 1. One free chance of watering every day at 12 p.m.(noon). 2. Please claim rewards before the event ends. Our New event is coming! Absolutely surprising you! There is a chance to get multiple rewards. It is necessary for your heroes to increase stamina. Come on and Wish you good luck. The wheel are composed by two parts which are the inside and outside. 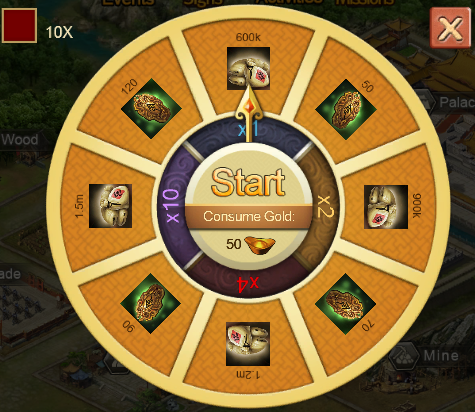 >>Start - Spend 50 Gold to roll the wheel. Gold will be deducted the moment you click start button and you can also choose to spend 10X to get 10 rewards. >> Claim - Claim the rewards you get. Claiming does not cost Gold. 2. Rewards unclaimed till the end of the event will be returned to you. Event 4. EXP Boost Up! During the event, you need try your best to upgrade! More EXP bonus waiting for you! Take action quickly! To help our lords upgrade, we will continue EXP Boost Up Event! Event 5. Upgrade and Get extra EXP! During the event, you need try your best to get more exp! More EXP, more rewards. Take action quickly! - At the beginning, the system will record your initial level. - During the event, please try your best to get more EXP. 1. Lv. 70 is required. 2. EXP reward is available for players to claim when the event ends. If you forget to claim, EXP bonus will be added to your account automatically after the claim time. And you will receive a message from system in game.